Happy Labor Day!! This past weekend we celebrated the engagement and soon-to-be wedding of our friends Margaret and Brett. 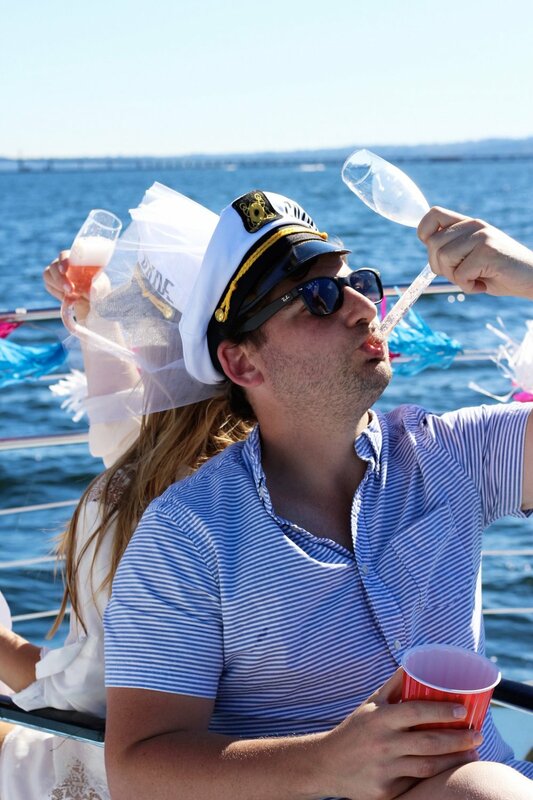 Instead of doing a classic bridal shower, Margaret wanted to have a boat party with all of our friends and I am SO glad that she did! Seriously the best party we have been to and I am so glad she let me help plan. 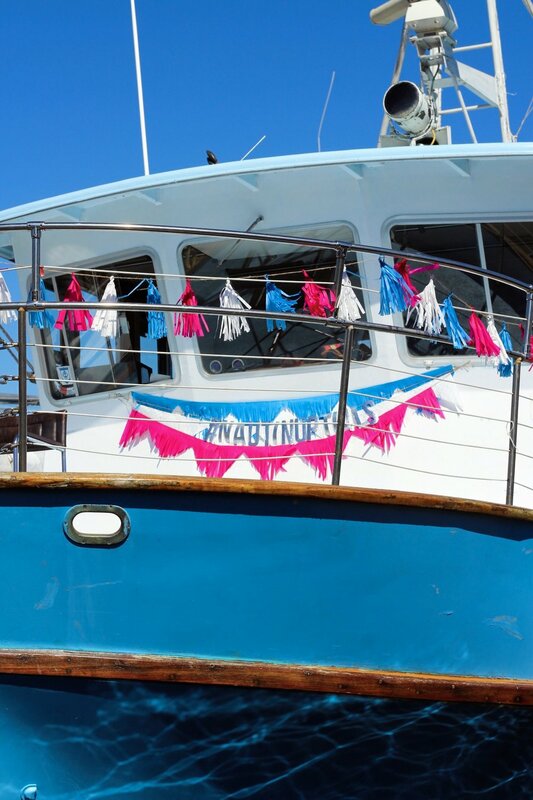 To decorate the boat, I made pink, blue, and white tassels (there are a million tutorials on Pinterest if you just search "DIY Tassels"), a #nautinuptials glitter sign, and triangle banners. 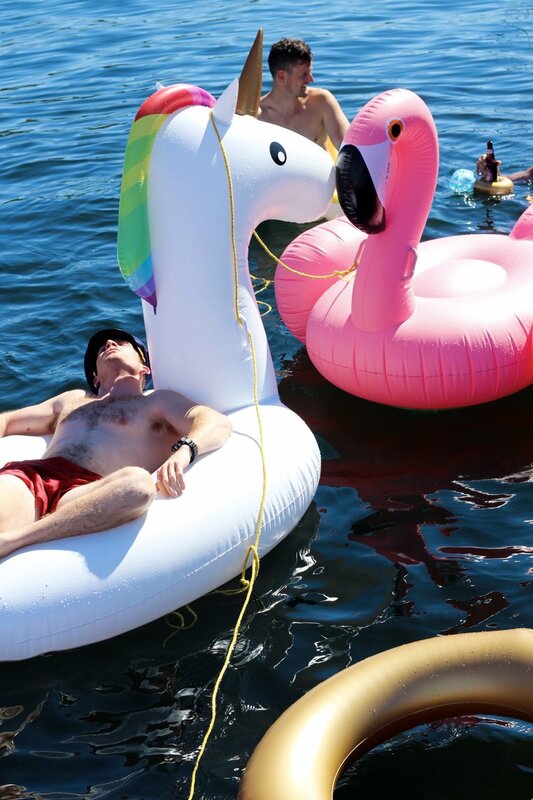 Once on the boat, everyone was greeted with custom koozies from icecreaMNlove on Etsy, navy captain hats, food, engagement ring floaty drink holders, and floats galore. 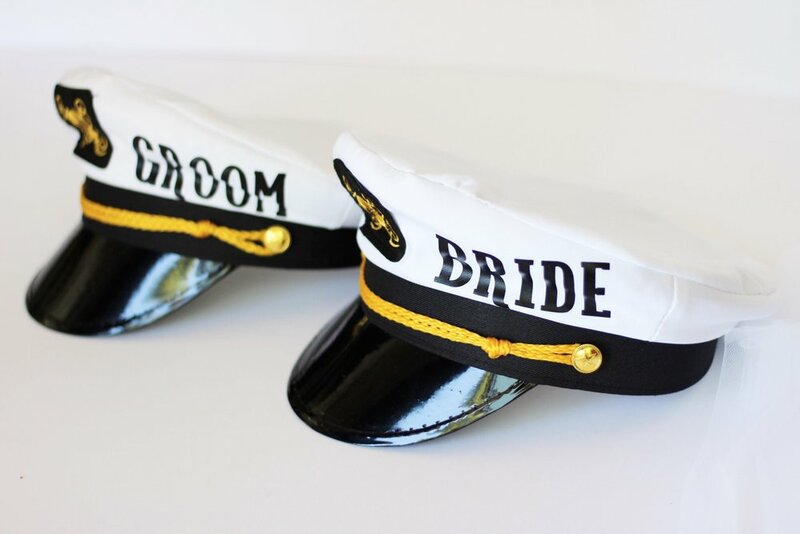 For the bride and groom-to-be, I purchased custom captain hats from AGreenDesignCo on Etsy and a "nauti bride" sash from ShadesOfPinkBtq on Etsy. The last piece was a DIY game requested by Margaret: He Said, She Said. 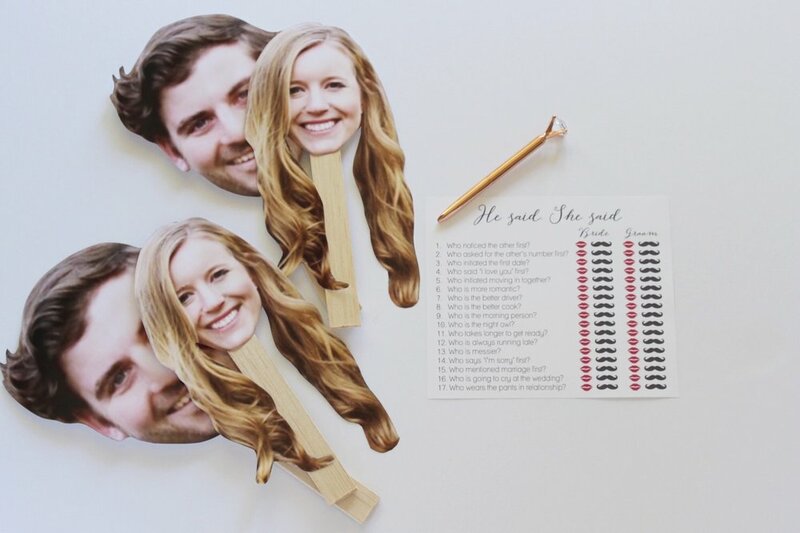 Beforehand, I printed and cutout giant photos of Margaret and Brett, glued them onto sticks, and wrote up questions to ask them each. Since both the bride and groom were there we had them sit back-to-back and answer the questions by raising a photo of one or the other (makes more sense if you see below). For every question they didn't agree on, they had to do a chambong. So fun! The boat party was seriously so much fun, we're already planning another for next year. Can't wait to celebrate Margaret and Brett again at their wedding a few short weeks, love you guys!